KHHM FM SacramentoStart | BLACK LIGHTNING – only on The CW! BLACK LIGHTNING – only on The CW! 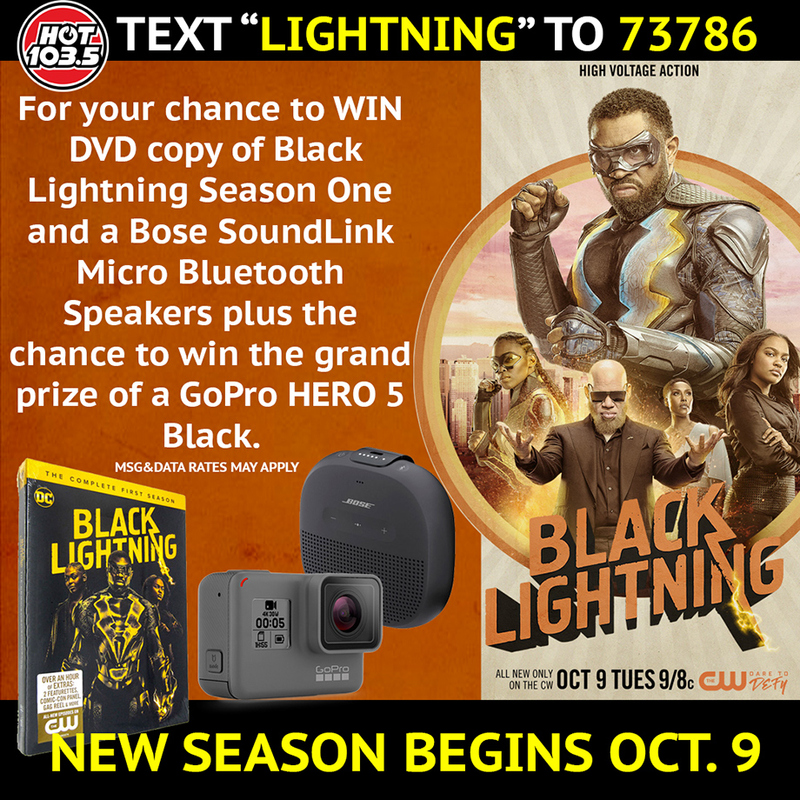 Hot 103.5 is teaming up with the season premiere of Black Lighting to get you a DVD copy of Black Lightning season one and a Bose SoundLink Micro Bluetooth Speakers plus the chance to win the grand prize of a GoPro HERO 5 Black. Just text “lightning” to 73786 for your chance to win! It’s two times the voltage in the second season of the hit action series BLACK LIGHTNING – only on The CW! Now that Black Lightning’s metahuman daughters, Thunder and Lightning, have come into their own powers, evil will stop at nothing trying to tear their family apart and destroy the city of Freeland. Lightning strikes twice! Don’t miss the second season of The CW’s BLACK LIGHTNING superhero action series – it all starts October 8th at 9pm only on the CW 31 right after the new season premiere of The Flash! Winners will be drawn at random from the text entries starting 10/8/18 to 10/16/18 Grand Prize Winners are responsible for all personal taxes, if applicable. television and radio stations are not eligible.